Through the Public Interest Program, Cumberland School of Law offers numerous public service opportunities for students as well as for practicing attorneys. From the first day of orientation, the dean talks about the core values of the legal profession. One of the most important of those core values is service to others. Through the Public Interest Program, Cumberland School of Law offers numerous public service opportunities for students as well as for practicing attorneys. Often these programs pair students with lawyers, which not only provides valuable real-world legal skills application but also great networking opportunities. Interest in these programs is at an all-time high. Public Interest Program Director Cassandra Adams works diligently each school year to provide law students with legal and non-legal volunteer opportunities. 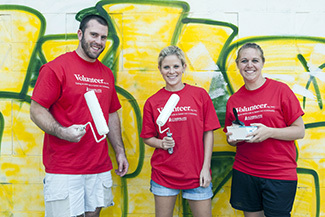 Whether it is a legally-related program, such as researching legal issues for residents in a local homeless shelter or lobbying for criminal justice reform, or a non-legally-related community service event, such as hosting an Easter egg hunt for children or building Habitat for Humanity homes, students consistently demonstrate their understanding of how important it is for lawyers to serve others with pro bono and public interest work. Help the Homeless Program is a partnership between Cumberland School of Law and the law firm Baker Donelson. Lisa Bordon, the pro bono shareholder at Baker Donelson, administers weekly clinics for the homeless community; law students and other volunteer attorneys give their time to the clinic. Law students research and answer questions as assigned by attorneys. Every Wednesday, the program visits a different homeless shelter. In addition, students and attorneys visit district court, where they hold the attorney-for-the-day program where pro se litigants (self-representing parties) can ask questions. Established in fall 2007, the 1L Service Project is now a tradition during first-year orientation. To conclude a week of traditional school orientation events, Cumberland School of Law embarks on a class service project on the last day of orientation. The first-year class, faculty and staff provide hundreds of volunteer hours in one afternoon to community service projects at locations such as the nature preserve, state parks, Habitat for Humanity sites and local ministries. The 1L Service Project fits with the law school’s pursuit to engage students in community-based volunteer efforts. The class project provides students with an opportunity for community outreach in a city that is new to most of them and gives new classmates a chance to interact. With the establishment of National Pro Bono Week in 2009, Cumberland School of Law was an original partner with the Alabama State Bar task force to establish the event throughout the state. Representatives from Cumberland School of Law have chaired the Pro Bono Week committee, and the law school continues to take a large leadership role in the activities throughout the state. During National Pro Bono Week, the law school hosts at least three free clinics, which include wills and general needs, serving more than 100 people. At these clinics, law students are paired with attorneys to perform legal work and act as witnesses. 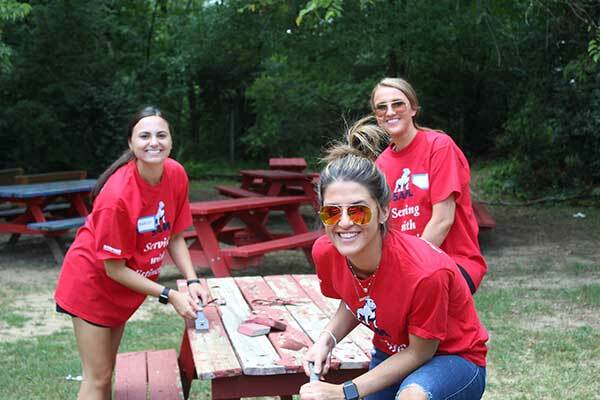 Pro Bono Week activities from the law school have been featured on the American Bar Association’s website to encourage other national bar members to volunteer their time. Although National Pro Bono Week is one week in October, Cumberland School of Law takes the entire month to celebrate. In past years, the law school has hosted lecture series for students such as Serving the Public Interest: How Law Students Can Impact the Needs of Our Community and A New Trial for a Death Row Inmate, featuring prominent speakers. Project Homeless Connect is a clinic held each spring for more than 1,000 people seeking assistance. Many stations provide basic necessities. The first stop for many is the legal area to clear up any outstanding warrants or legal problems. 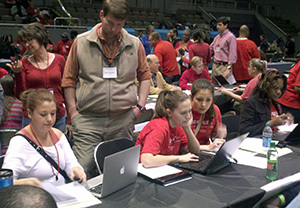 At the legal station, Cumberland School of Law students work with volunteer attorneys to handle outstanding legal issues. 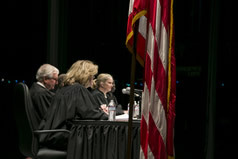 Law students have access to the Alabama State Court System with laptop computers to conduct on-the-spot research of a person’s legal status. 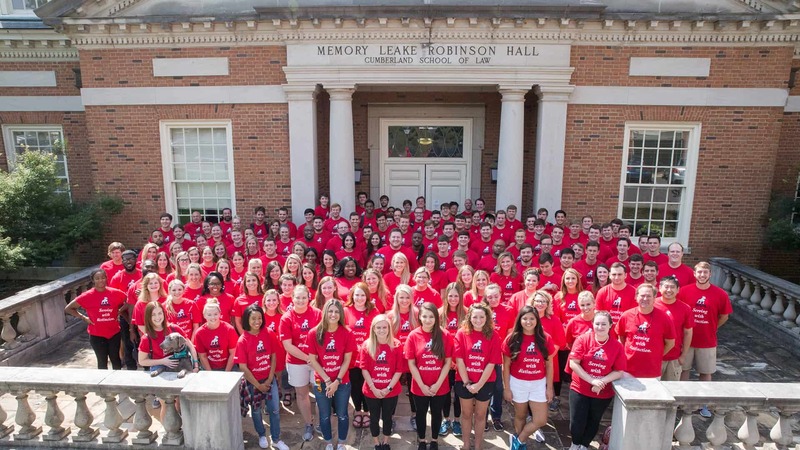 Cumberland School of Law annually recognizes students, faculty and staff who have completed 30 hours or more of public interest/pro bono legal work and/or community service during the academic school year. The recognition comes in the form of the Spirit of Service award certificate.